Enjoy the top 3 famous quotes, sayings and quotations by Richard Ray Perez. The main reason why I'm a documentary filmmaker is the power of the medium. The most powerful films I've seen have been documentaries. Of course, there are some narrative films that I could never forget, but there are more documentaries that have had that impact on me. Thhe essence of documentary filmmaking is how you manipulate the material to create an emotional impact, as opposed to just delivering information. Want to see more pictures of Richard Ray Perez quotes? 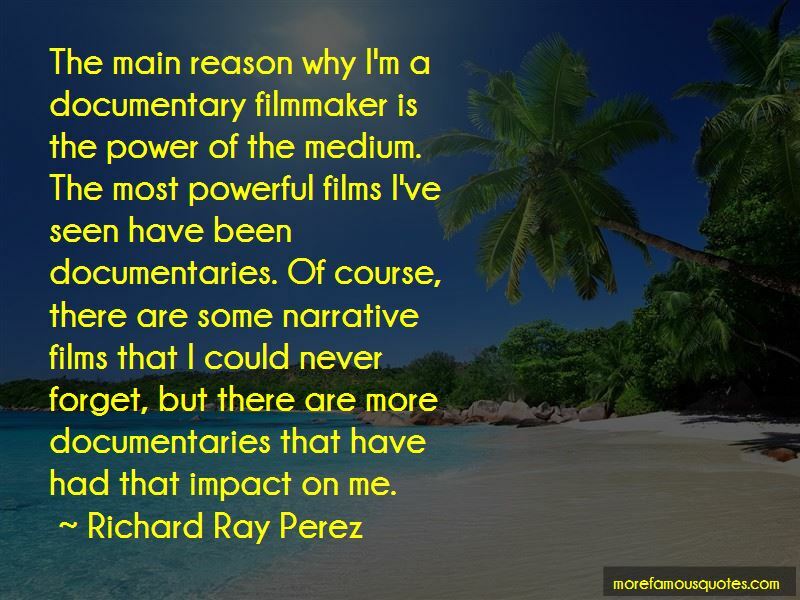 Click on image of Richard Ray Perez quotes to view full size.